Enjoy plant power. Pure taste, no sugars. Low in fat + calcium & vit. B2, B12, D. 100% plant-based. No sugars or sweeteners. Easy to digest as naturally lactose free. Free from dairy. Free from colours and flavours. Vegan. 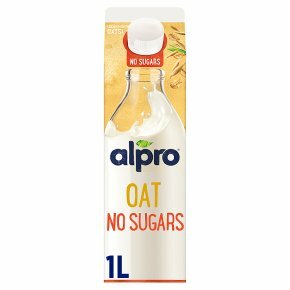 30% more fibre* Naturally low in (saturated) fat* *30% more fibre than the market reference in oat drinks. *Reducing consumption of saturated fat contributes to the maintenance of normal blood cholesterol levels. Can be introduced as part of a healthy balanced diet from 1 year of age.<br>Not suitable as a main milk drink for children under 3.